Inconspicuous "little brown balls" in the ocean have helped settle a long-standing debate about the origin of malaria and the algae responsible for toxic red tides, according to a new study by University of British Columbia researchers. In an article published in the Proceedings of the National Academy of Sciences Early Edition, UBC Botany Prof. Patrick Keeling describes the genome of Chromera and its role in definitively linking the evolutionary histories of malaria and dinoflalgellate algae. "Under the microscope, Chromera looks like boring little brown balls," says Keeling. "In fact, the ocean is full of little brown and green balls and they're often overlooked in favour of more glamorous organisms, but this one has proved to be more interesting than its flashier cousins." First described in the journal Nature in 2008, Chromera is found as a symbiont inside corals. 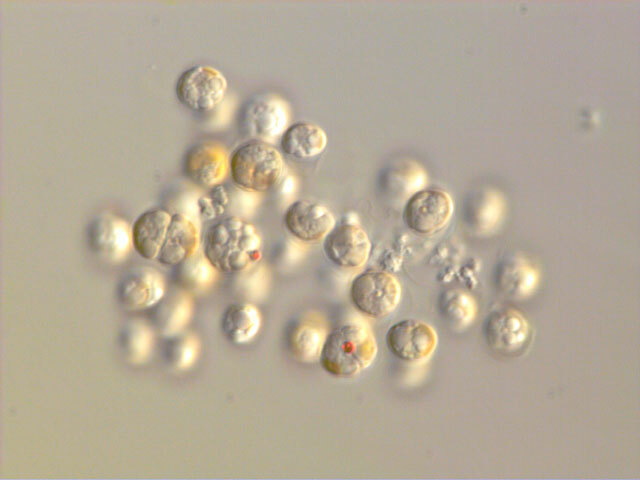 Although it has a compartment – called a plastid – that carries out photosynthesis like other algae and plants, Chromera is closely related to apicomplexan parasites – including malaria. This discovery raised the possibility that Chromera may be a "missing link" between the two. 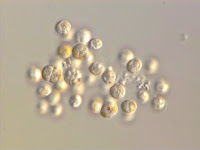 Now Keeling, along with PhD candidate Jan Janouskovec, postdoctoral fellow Ales Horak and collaborators from the Czech Republic, has sequenced the plastid genome of Chromera and found features that were passed down to both apicomplexan and dinoflagellate plastids, linking the two lineages. "These tiny organisms have a huge impact on humanity in very different ways," says Keeling. "The tool used by dinoflagellates and Chromera to do good – symbiosis with corals – at some point became an infection mechanism for apicomplexans like malaria to infect healthy cells. "Resolving their evolutionary origins not only settles a long-standing scientific debate but could ultimately provide crucial information for tackling diseases and environmental concerns."